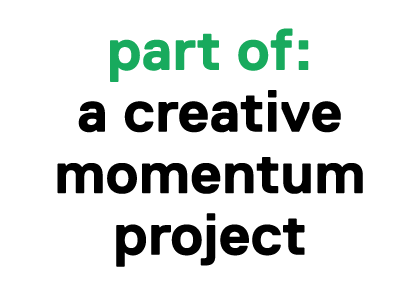 a creative momentum project selected 25 video production companies from Northern Ireland, Sweden, Ireland and Finland to be included on our Video Pitching Toolkit – Video Production Company Pool/Panel. These companies may get contacted by new clients, which have been selected to receive support to get a pitching video for their business/product/service/idea made. The Video Production Company Pool/Panel include 4 video production companies from Co. Donegal. Digital Creatures is a boutique motiongraphics, design and video production studio. Their strengths are in 2D and 3D motiongraphics, which help clients enhance their videos or animate their stories. Check out the video portfolio on their Vimeo channel. DNK Media Productions is a 2 person team who has an innate ability to put people at ease while in front of the camera. DNK Media has produced approx 60 X 30-sec promotional videos for local businesses as part of their nomination for Letterkenny Chamber Business Awards. They have also produced over 30 x 15-sec profile videos for local creative entrepreneurs. This work can be seen on the company’s Youtube channel. Northern Lights Film is a dynamic company of three film makers with award winning skills in screenwriting, direction, production, camera, sound and editing. They form a hard working, professional, but also fun and charming team to work with. The promotional videos produced by Northern Lights Film are available on their website. Finally, Paul McGuckin approaches video production with a photographic view, aiming to tell a short story that stirs emotion within the viewer, looking to make a connection. Paul’s strength is in honing the client’s vision from the outset, enabling the final edit to be as strong as possible, always keeping in mind the target audience. Aesthetically, he is inspired by the films of Wes Anderson, with personality, colour, tone and quirkiness. Paul’s video portfolio is available on his website.